This is the lifestyle! 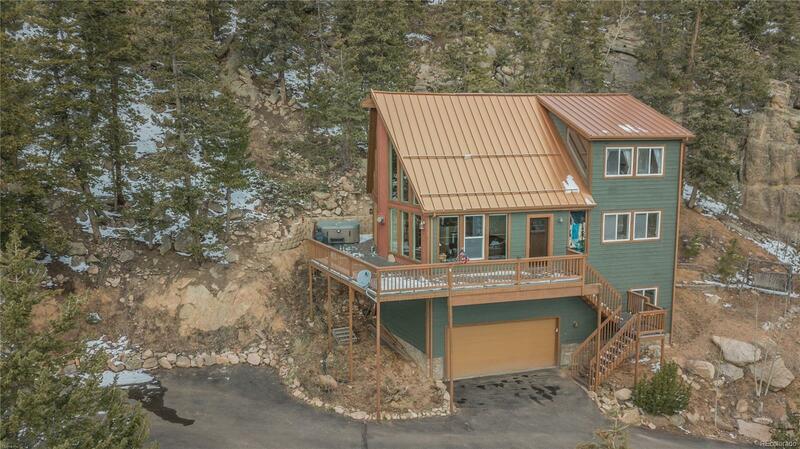 Wake up to breathtaking Pikes Peak views or enjoy from your cozy living room with walls of windows. Main living area is light and bright for all types of entertaining indoors or outdoors on a wrap-around deck, or just enjoy a private moment in the hot tub watching wildlife or seeing the stars. Upper level features a Loft with beetle-kill pine ceilings and private deck. This also leads to a Master Bedroom with incredible views and updated Master Bath. Lower level offers views from the family room which has a custom wood ceiling, laundry and expansive utility room with Central Vacuum and Fire Protection System. Trails are nearby that lead to Staunton State Park. You won't be disappointed with the mountain living this home has to offer!